David Sobel’s books Beyond Ecophobia: Reclaiming the Heart in Nature Education, Mapmaking With Children, and Place-Based Education: Connecting Classrooms and Communities, were three of the most influential, nonrequired readings while slogging through tired ed courses. Now once in awhile, similar literature surfaces as a healthy reminder to allow and urge spontaneous natural wonder and play. 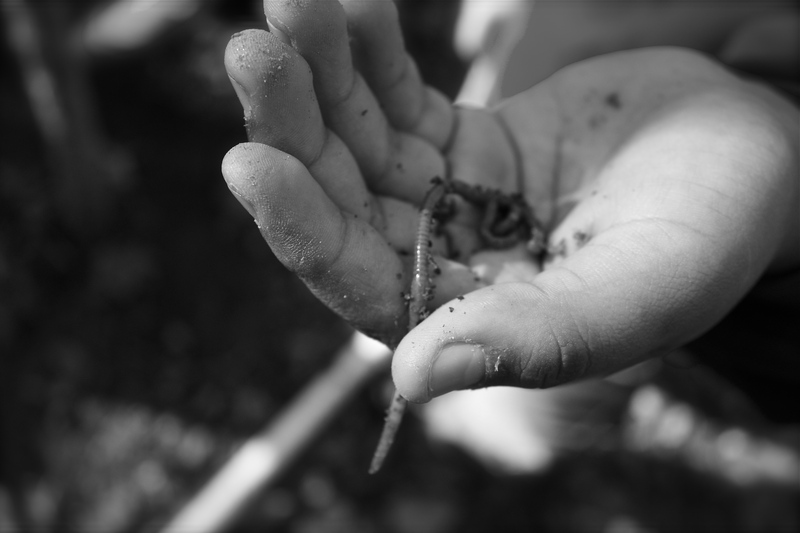 Look, Don’t Touch, in the July/August edition of Orion Magazine, is Sobel’s comprehensive critique of environmental education pitfalls prevalent among well-intended households, classrooms, and camps. He quotes “untutored savage” naturalist superheroes John Muir and E.O. Wilson, discussing unscripted, unsupervised childhood adventures, juxtaposed with ubiquitous rules within current environmental education programs and summer camps restricting kids to designated trails, PowerPoint introductions, and policies forbidding fort building and tree climbing in the name of conservation. Muir remembers, “One late afternoon I brought home a coachwhip snake nearly as long as I was tall and walked into the house with it wrapped around my neck.” While living in rural Ponchatoula, Louisiana, I had a similar experience at age eight. Biking home for lunch from morning adventures in pinewoods that go on forever (dressed in a black ninja outfit), mom shrieked as I appeared in the kitchen with a pair of matching lime green anoles dangling from my earlobes. A child discovers a way to capture a huge, black snake, or that some lizards won’t let go. It’s this sort of experiential outdoor play that develops into lifelong respect for, and connection to, a world from which far too many children are estranged.